Dr. Benjamin Marcus is certified by the American Board of Otolaryngology-Head and Neck Surgery and the American Board of Facial Plastic Surgery. He is fellowship trained in facial plastic and reconstructive surgery, having learned leading-edge techniques with Drs. Ted Cook and Tom Wang in Portland, Oregon, leaders in the field. Dr. Benjamin Marcus performs cosmetic surgery of the face and neck, rhinoplasty and facial reconstructive surgery. Specialty areas include: facelift, brow lift, eyelid surgery, rhinoplasty, facial trauma, reconstruction of congenital deformities, and reconstruction after Mohs surgery. He also provides the complete spectrum of ENT services, specializing on sinus and nasal problems. 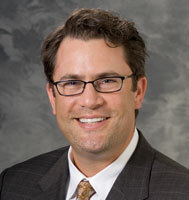 He is an Assistant Professor in the Department of Surgery and Director of Facial Plastic and Reconstructive Surgery. A full-time faculty member of the UW Medical School, he is actively involved in training the next generation of facial plastic surgeons. Facial plastic surgery, rhinoplasty, facelift, facial reconstruction.